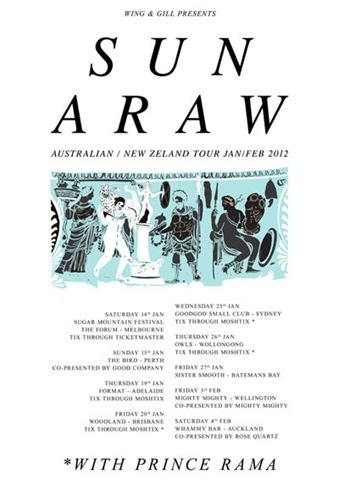 Busy times ahead and that’s before we get to Real Estate visiting our shores (including Dunedin!) in March. To make sense of the music choices coming up here are some words, links, pics and tracks. Pop-folk psychedelic group. Known for their thrashy sets. Dan Deacon was pretty fabulous last time he visited. Electronic music mayhem from the professor. 3 Feb at Whammy Bar. 30 Jan. Book here http://www.lanewayfestival.co.nz/ – its being held down past the Auckland Viaduct at the somewhat grandiosely named Silo Park. Choices, choices, choices. For the first time three stages are running so you can’t see all the bands (unless you are very fast on your feet). Looking below it is not clear if the stages have a particular musical bias, it’s just a matter of picking what you want to hear and manoeuvring yourself to the right stage at the same time. 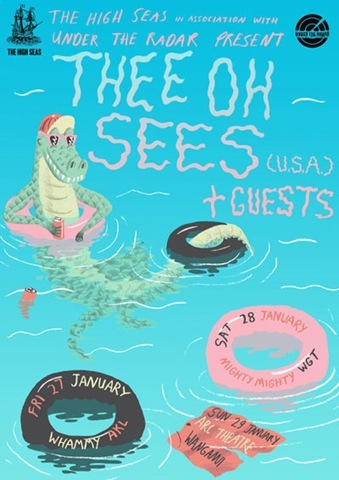 I will be looking out for the alt grungy bands mostly, that is Yuck, Girls and Cults. However all of the bands have their attractions, from the force that is (Sir) Shayne P. Carter to the kraut-rockish Horrors. Whew. 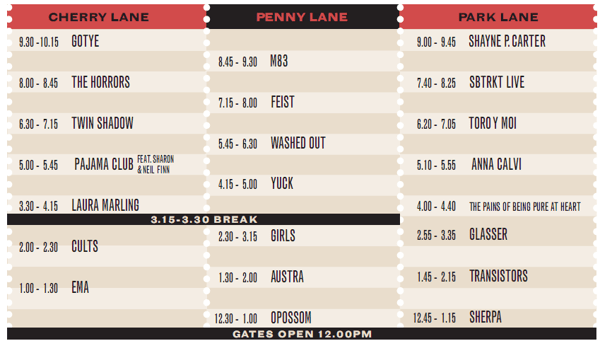 You could of course just refer to the Laneways guide to the bands.